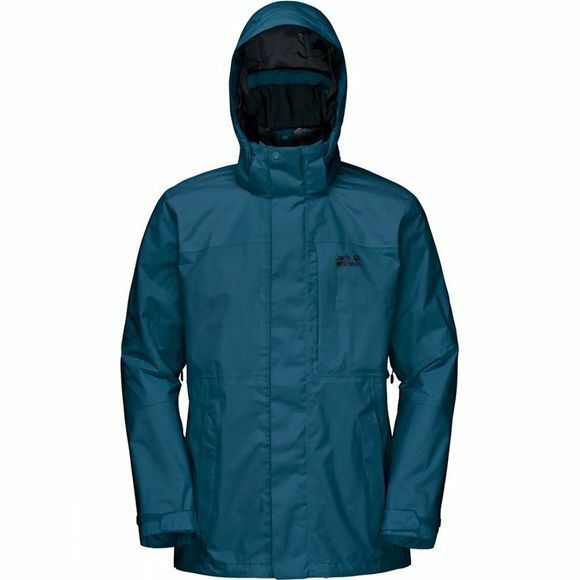 A trusty all-weather companion on long treks and hikes, the Mens Brookays Range Flex Jacket from Jack Wolfskin is a waterproof, windproof and breathable shell jacket with a slightly longer cut. With this jacket, even continual rain is not a problem. It can cope with that easily. The flex zone on the upper back provides extra freedom of movement, and the venting zips under the arms let fresh air in if you get too warm. Equipped with a system zip, so it can be teamed with a zip-in fleece jacket and upgraded for autumn or winter wear. So you can enjoy the benefits of this jacket all year round.